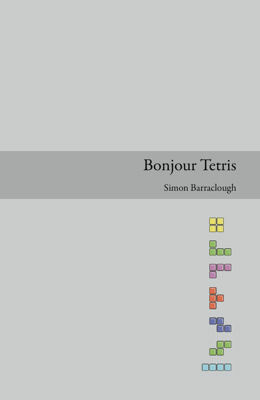 This year’s National Poetry Day had the theme of ‘Games.’ So it feels apt that I should be reviewing Simon Barraclough’s 2010 pamphlet, Bonjour Tetris (and alas, slightly frustrating that this review’s too late to coincide with the day). It comes to us courtesy of Penned in the Margins, whose pamphlets aren’t just… pamphlets but, like the special edition of your favourite album, artefacts. This one comes in a sand-coloured, number-stamped box stylishly decorated with Tetris blocks. Open that, and the pamphlet itself is nestled, like luxury chocolate, inside a folded sheet of glossy sand-coloured paper. The book cover is a desktop PC-grey, with a darker grey stripe striking through it (this displays the title), and more Tetris blocks (in colour) tumbling down the bottom right-hand side. A confession: emotional content is often a factor in my assessment of any poetry collection’s Overall Level of Win; and neither packaging nor title set me up to expect emotion (the title being a flippant tip-of-the-hat to ‘high’ and ‘low’ culture). And the poetry, in a sense, does ‘what it says on the tin’. But that’s not to talk the writing down: if I’m slightly disappointed to find a low level of emotion in the poems, it’s probably my fault for expecting it. 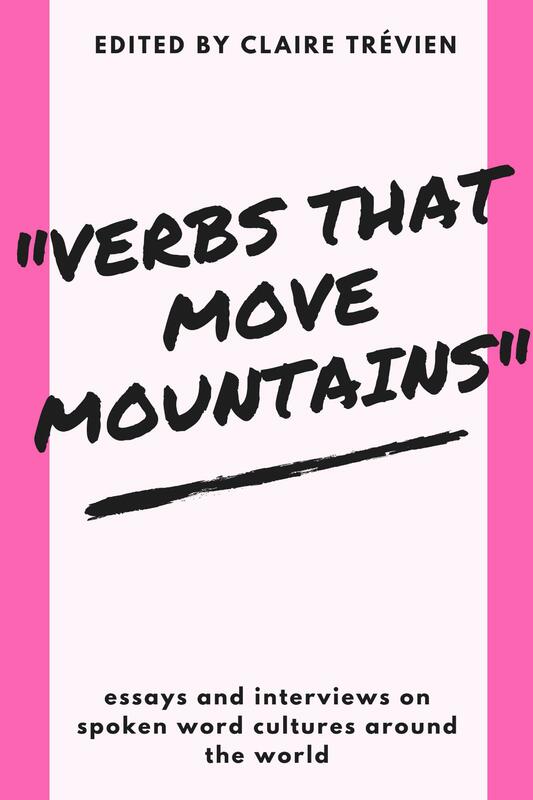 So what else does poetry do? Well, for as long as it has been associated with emotion, it has also revelled in wit (delivering full satirical force in a single blow), cultural commentary and, above all, the love of its own verbal dexterity. Bonjour Tetris Wins, even if it does play its own combo of special moves. Like Larkin, Barraclough never throws a complicated word into a conceit which doesn’t ask for it (he’s often at home with a plain, conversational style similar to God’s Gift to Women Don Paterson). Like Peter Didsbury, he’s able to manipulate rhythm and line (he can handle a long line), adjusting his grip on metre as he goes (even if that formal ability occasionally threatens to lighten the mood slightly too much; ‘A Villanelle for Jules et Jim’, in spite of its obvious music, just avoids the ‘disappointing ending’ tag by being the penultimate poem). And like Muldoon, he’s able to fuse disparate ideas and imagery seamlessly (even if his juxtapositions don’t get quite as mind-bendingly strange as the best in Muldoon’s Maggot). All this works together in the first poem ‘Incorrigibly Plural’, which uses weather imagery (a long, nation-halting big freeze) to explore the nature of radio broadcasting, and the implications of rail privatisation. Weather is so often used to manipulate emotion that I found this use complex and original. ‘Who owns this puny little gun? Doom. Who owns these fragged-up body parts? Doom. Who owns this chain-sawed demon spawn? Doom. Who owns this lake of toxic waste? Doom. Who is stronger than work? Doom. I won’t give away the punchline. It’s worth waiting for. Few poetry collections can do everything a reader wants, and I would have liked a few more emotional moments in Bonjour Tetris. That’s not to say it never gets emotional: ‘Jurassic Coast’ begins ‘The house had grown too small for us and so / we spent that final summer in a tent’ and, through a series of transformations, becomes a beautiful meditation on memory and loss (although its blank verse put me at just one remove from its emotional content). Any attempt to define what poetry is will reflect one’s own biases. 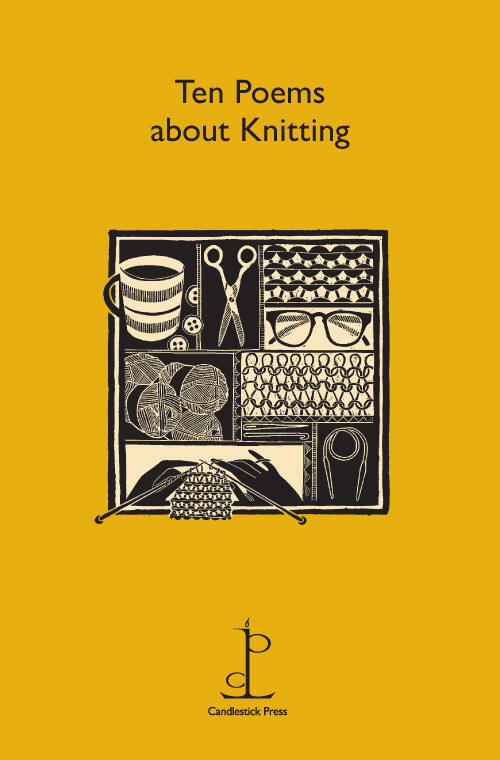 This book might be akin to T.S. Eliot’s idea: ‘not a turning loose of emotion, but an escape from emotion… not the expression of personality, but an escape from personality. But, of course, only those who have personality and emotions know what it means to want to escape from these things.’ Thank Nintendo, then, that Barraclough has personality and emotion enough to respond to so many other escapisms with poetry. Videogames, TV, film, radio and other media monsters are caught in his lens until fun shares the screen with intelligence, beauty, and a mischievous wit. And that, if you’re the right kind of reader, will be all the emotional content you’ll need.